Another 21 vape companies received FDA letters on October 12th, 2018. The manufacturers may have been in violation of the Federal Food, Drug and Cosmetic Act. Here’s what we know so far. This is not the first time the FDA and sister regulatory organization have stepped in to take action. Manufacturers involved in the production of ENDS (Electronic Nicotine Delivery Systems) have received letters similar to these before, for matters regarding marketing tactics and possible copyright infringement. The Food & Drug Administration (FDA) officially classified all vapor products as “tobacco products” under the Family Smoking Prevention and Tobacco Control Act (the Tobacco Control Act). And while this effected the industry in a variety of different ways, perhaps the most detrimental consequence of the new regulation was the requirement for vape manufacturers to stop the production and introduction of all new vape products. A costly application was now required for any company wishing to introduce a new vape product to the market after August 8th, 2016, essentially putting an end to innovation within the US. Even though the PMTA application deadline has since been pushed back to 2022, filing the necessary paperwork is still required. I have a few theories as to what may have caused this series of violations. Manufacturers were unaware of the newly passed regulations. Companies were looking to ‘test the waters’. Misinterpretation of the PMTA application requirement. Those who found a workaround and felt that they would not be effected. Some seem a bit more believable than others, but in this day and age, you really can’t count any scenario out of the equation. Before August 8th, the vape Industry had a pretty good idea of what the FDA had in store. Many companies rushed to create new products and deliver them to market, while some worked diligently to create the necessary works (marketing materials and other product details, etc) required for new products that would be brought to market after the August 8th deadline. Many companies used a ‘loophole’, working with manufacturing facilities outside of the US, to bring their new products to market after this period; an idea that has worked very well up until this point, but a door that may also be closing soon. All manufacturers involved will be required to provide the FDA with the necessary information to prove whether or not products were being illegally marketed. Each company will have 30 days to comply with these requirements, or prepare for legal enforcement. And even if these companies can provide the information proving their innocence, there’s no guarantee as to how their operations may be affected in the near future. Others in the industry should take note, these cease and desist letters tell us one thing for sure: the FDA means business. 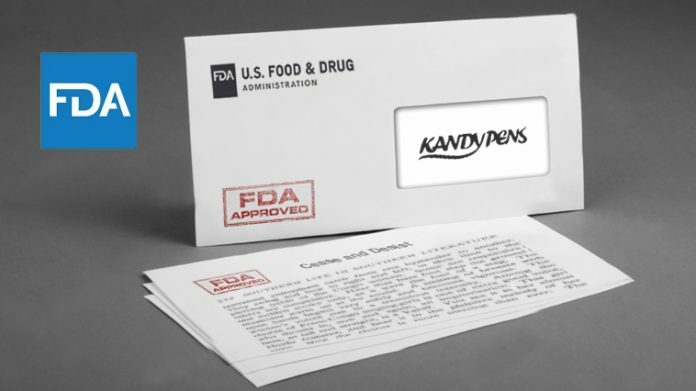 FDA letters are not something to be taken lightly. A billion lives are at risk. So what can you do as a vaper? Visit August8th.org, take action within the community, contact your local representatives and ask them if they support life saving vapor. Look for ways to help bring awareness to the community as a whole. Vapers are not alone in the matter, but if we do not stand together as one to fight for our rights, we stand to be consumed by the regulatory oversight of the FDA. Next articleProduct Showdown: Cotton Bacon – Which Version Is Best?